Hello, hello! I’m here today with another Meet the Blogger post with Nicki @ The Secret Library. Nicki is a lot of fun and a very active user on WordPress. Me & Nicki have been following each other on here for a while now and are always going back and forth between blogs, commenting and liking each others stuff. I think she must be one of the friendliest people I’ve met through WP! She reads a whole bunch of genres so there’s something for everyone on The Secret Library, check it out! I’m Nicki a 40 something wife and mother to a 16 year old son. I live on the beautiful island of Jersey where we only have a Waterstones bookshop and a WHSmith to buy my books from. Fortunately we have a fantastic library service over here and all the charity shops sell second hand books too. Twice a year the local guide Dogs for the Blind charity have their second hand book sales which raise thousands of pounds each time. A part from reading and blogging I’m a blipper, a member of blipfoto.com, a wonderful online community where I take and post a photograph everyday. I’m also a member of postcrossings a site where you send and receive postcards to random strangers around the world. Don’t forget to follow Nicki on all her social medias! I’ve dabbled with blogging for years and have been reviewing books for a long time on Goodreads, Amazon and Waterstones but wanted a central place for all my reviews. I had a book blog on Booklikes for a few years but actually started this blog last September when Booklikes looked like it was dying. It recovered but I preferred the new format on WordPress and so made this my blog home. I’m very happy here and have been made very welcome by all the lovely book bloggers out there. See You in September by Charity Norman set in New Zealand about a girl who goes travelling and ends up in a cult. Erotica, not my thing at all. Yes, Harry Potter. I’ve tried quite a few times to read the first book but it’s just a children’s book to me and I just don’t get the fuss. What’s your opinion on second hand books? Love them, especially if they look like new. Funnily enough I did a post about that here if you’d like to have a look. Deckle edging is just horrible. 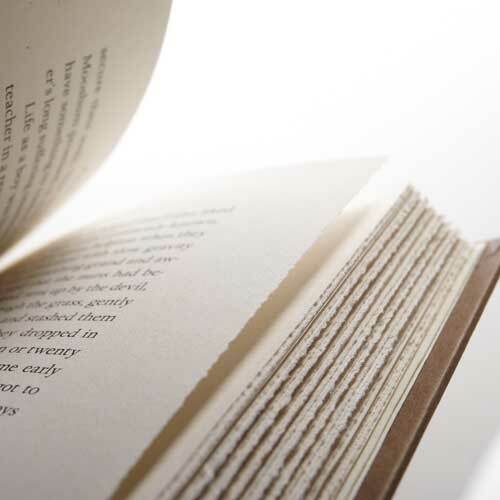 I bought a book from Wordery earlier in the year and it has deckle edging. I wasn’t impressed and emailed them as I was convinced it was an unfinished book. They were amazing and apologised giving me a choice of returning it or having 50% off it. I kept the book because I want to read it gladly accepted the refund. I also hate it when I reading a series and the author is constantly referring to episodes in the previous books for new readers. I understand that new readers need to be aware of past books but why not do a synopsis in the front otherwise it just feels like padding and waffle to me. Either The Chronicles of Narnia by C.S. Lewis or When Hitler Stole Pink Rabbit by Judith Kerr both childhood favourites. Do it for yourself at your own pace so you don’t feel under pressure from anyone else and don’t feel it’s a competition either. I’d really like to meet Gretchen Rubin I love her non fiction books. and even though we’ve got completely different different personalities I’m sure we’d have a lot to talk about. So there we have it, that’s Nicki! I hope you’ve all enjoyed getting to know her, she’s one of the friendliest bloggers around. Previous post500 followers! Huge thanks & a giveaway! Good to know you a little better Nicki. I could send you a post card if I knew where to send it. Charente. I am really enjoying this new series of yours!! I love finding new bloggers to follow. I know all about that beautiful island of Jersey now.. I’ve read the entire Wikipedia page. I’m afraid to say I didn’t really know where it was geographically. But then I’m not really great with orientation :-). I don’t like erotica either. Read the first Fifty Shades book quite early on into the hype and knew it wasn’t for me :-). Great post!